P2 Energy Solutions has unparalleled insight into the unique business processes that Canadian upstream oil and gas companies encounter. Qbyte is the premier accounting, production accounting, and land management software for Canadian oil and gas companies. Leveraging 25+ years of expertise, Qbyte offers a suite of solutions to elevate efficiencies and productivity relevant to every key oil and gas activity. Whatever your size, whatever your plans, Qbyte Financial Management fits. Qbyte Financial Management meets your petroleum industry-specific accounting, joint venture requirements, and reporting needs. Qbyte CS Land tracks and manages your critical land and ownership data that is trusted and valued by the entire organization. Minimize your risk and improve your return on investment. Metrix supports the Canadian Oil and Gas industry requirements for production, revenue, royalty, and regulatory reporting. 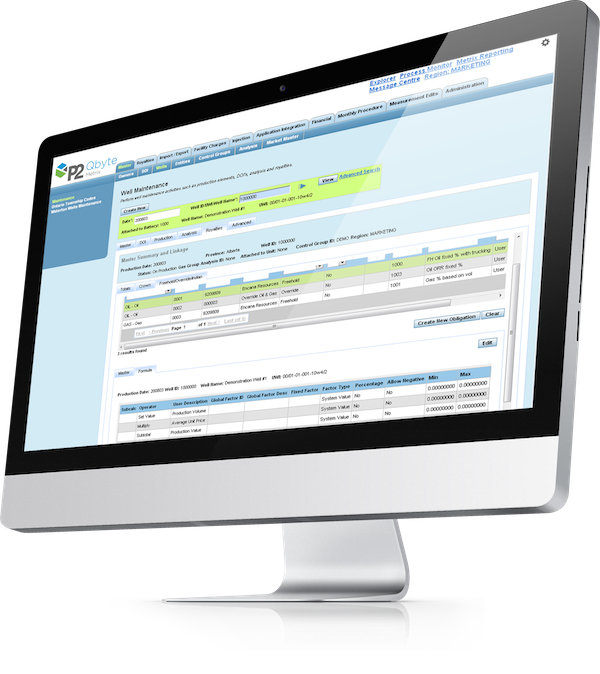 The design enables productivity advantages and greater efficiencies for both experienced and new production accountants. Qbyte modules are tailored for Canadian oil and gas accounting, production revenue accounting and land management. Qbyte accounting and reporting functionality adapts to industry changes and individual preferences. Online products provide a subscription-based, pay as you go business model that helps control costs. More than 260 Canadian oil and gas companies rely on Qbyte CS Land to manage their complex and ever-changing land management requirements. Qbyte CS Land is a solution designed specifically to capture, validate, and report on all your critical land, contract, and joint interest data. It provides the capability and tools to easily manage data entry and updates with limited user effort, while providing the checks and balances to help ensure high-quality data. Qbyte Metrix is the complete solution for production, revenue, royalty, and regulatory reporting requirements for Canadian oil and gas producers. Designed to deliver productivity advantages and greater efficiencies for new and experienced production accountants alike, Metrix is simple yet robust, ensuring the best use of a production accountant's time and accommodating those complex requirements when needed.